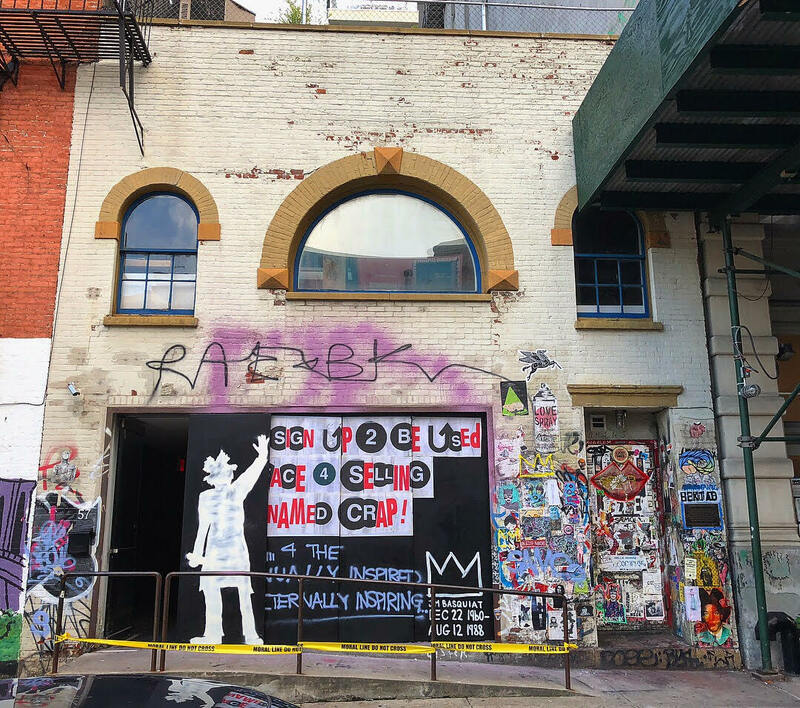 There have been several listings since last fall for space available to lease at 57 Great Jones St. just off the Bowery... a former stable that Andy Warhol owned. 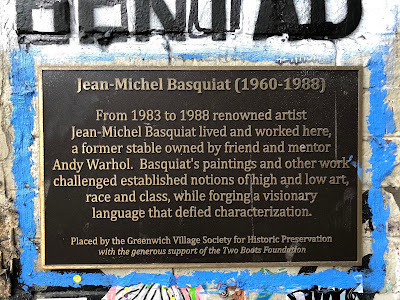 It was also where Jean-Michel Basquiat lived and worked at the time of his death in 1988. 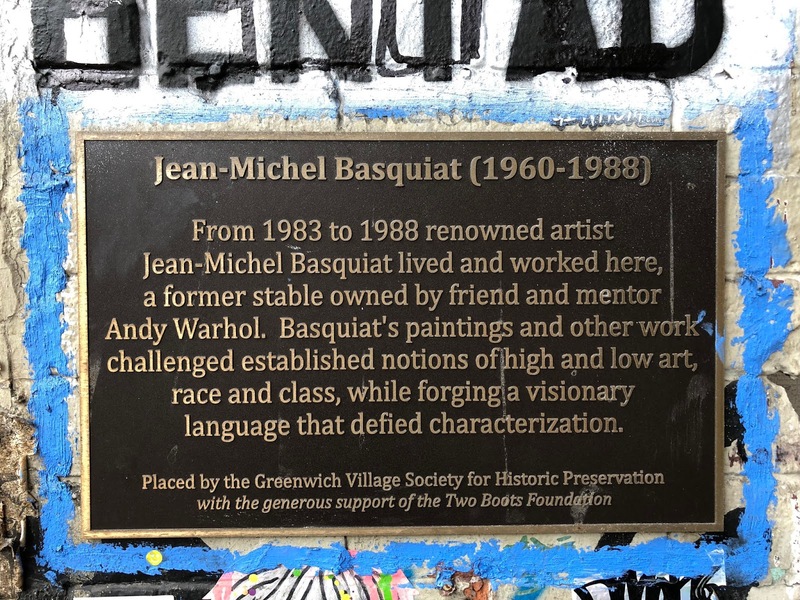 Yesterday marked the 30th anniversary of Basquiat's death at age 27. 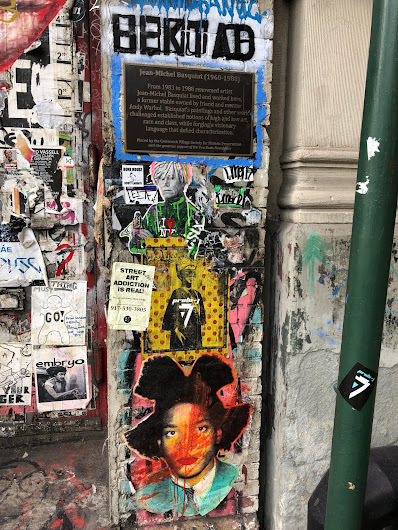 As for the listing, it first arrived last fall, and has disappeared and reemerged several time since then, most recently in early August. 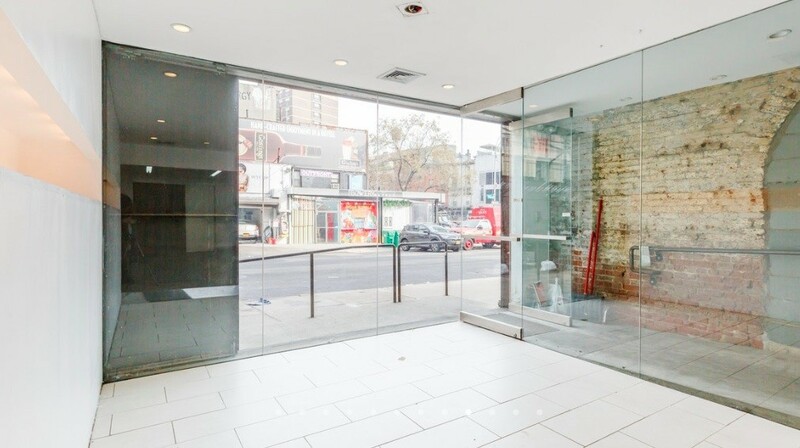 The heart of NoHo, ground floor sublease opportunity till December 2022 or for short-term lease/pop-up this summer. Approximately 800 sqf including back office. Storage space on the basement upon request. 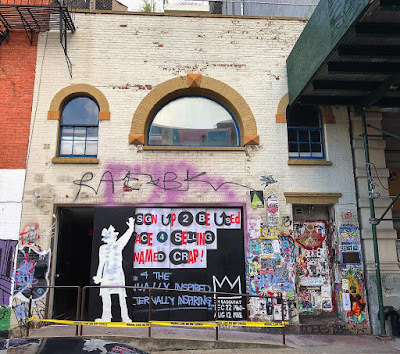 Building formerly owned by Andy Warhol, and Jean-Michel Basquiat lived and worked. Behind this space is a hidden restaurant by appointments from repeaters or referrals only. 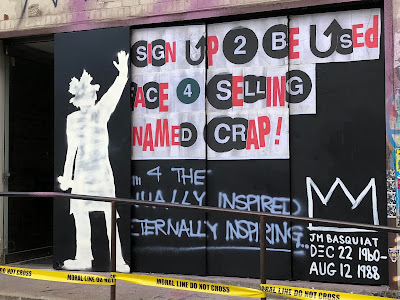 Unique business concepts preferred but any kind of business considered. 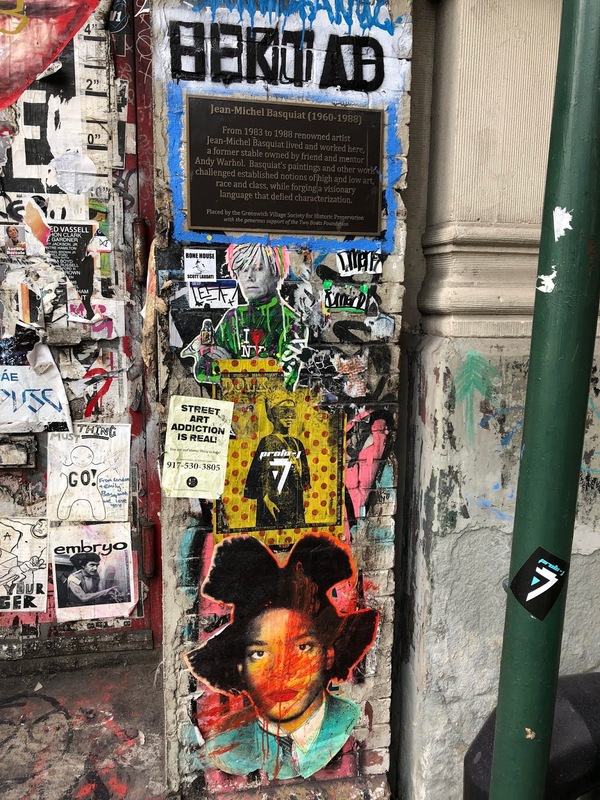 Ideal for gallery, retail, event space, ice cream shop, pastry shop and etc. Employees bathroom only. I feel like people in 2018, youths especially, would be pretty baffled by this idea, of not wanting to sell out.